There are 7 reviews of Very Hollywood. Nice fragrance, however does not last long at all. Tried it on in the store and fell in love. My husband bought it for me for my birthday. It wears off immediately. I feel cheated. It was really expensive. I used it all. I should have taken it back to the store. Oh well. I LOVE the way this smells but it lasts (no joke) less than 30 minutes on my skin. No other fragrance has disappeared as quickly as this one does. None of the other Kors fragrances have this Houdini quality, only the Hollywoods. Weird. While it's there is smells a lot like 'Michael' just a bit more bubbly and fresh. More citrus maybe? In commiserating with others about the disappearing job I have heard similar laments. So try before you buy! I'm not actually certain as to why so many people dislike this fragrance. To my nose, Very Hollywood is a glamourous, feminine and delicate white floral. There is a slight tropical element to this fragrance, possibly due to the jammy raspberry note. 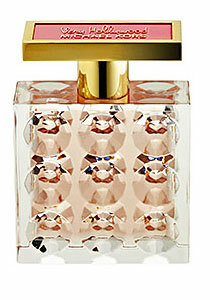 This fragrance is a little similar to Marc Jacobs for women, especially in regards to the strong gardenia note. I like the creaminess that this fragrance conveys. To me this scent is smooth and divine. Its milky-creamy aspect makes this a perfect choice for white floral lovers. I do think that this fragrance is indeed very Hollywood. Both the scent and the bottle feels very chic and extravagant. The lasting power is amazing, lasting well into the next day. I'm impressed with this latest creation from Michael Kors. I absolutely love how this smells. I am not an expert on fragrance by any means, so I will not attempt to describe it. What I do not love is how soon the scent fades. I'm not sure if this is due to the product or my body chemistry. I have a giant bottle of this and will likely never use it up as it just does not have enough staying power for me. It is truly VERY Hollywood. Some love it, some hate it. When I first smelled it I didn't like it. This often happens to small towners who come to LA for the first time. They love it and find it glamorous and fun, as do many with the 'fume, or hate it and find it an overcrowded trashy mess. But either way, time tolls and you see the other side as well. There is old Hollywood Blvd glamor in the middle and base notes of this scent, but on top it really is trashy Santa Monica Blvd that kind of makes you scrunch your nose. Sometimes it smells sickeningly sweet. Other times you wonder why it is do damn dry and musty. Seriously, just like LA... Sometimes you are thrilled to have all night diners, museums, any shop you could want, other times you just yearn to wash it all off and go out of town for some traditional country clean. Michael Kors Very Hollywood 1oz Women's Eau de Parfum NEW! Michael Kors Very Hollywood Womens Eau De Parfum Spray 1.7 oz 50 ml. New In Box!